Catholic priest of the Stigmatine Order and a scholastic Thomist philosopher. He was the founder of the Institute for Higher Studies on Unbelief, Religion and Cultures. Known for his prodigious philosophical production, Fabro was part of the scholastic revival of Thomism. 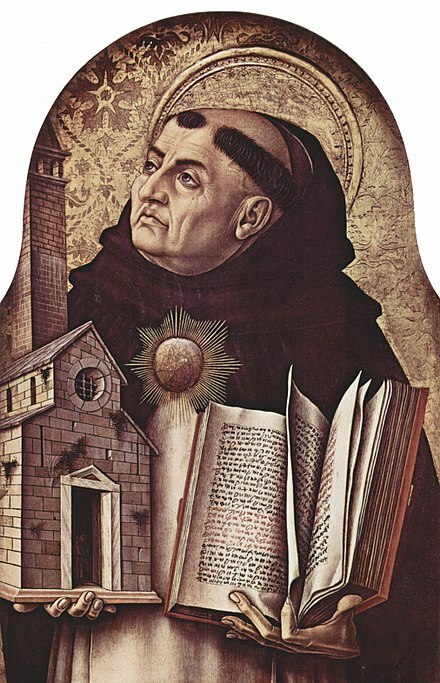 One of his major contributions to twentieth-century philosophy was to draw attention to the notion of "participation" in Aquinas' metaphysics. Fabro was also interested in modern philosophy, particularly the relationship Kierkegaard's thought to Christian philosophy, the origins and nature of anthropocentrism in modern thought, and the critical analysis of "progressive" theology. Catholic University of the Sacred Heart in Milan. Upon his return from Milan, Fabro resumed teaching at Maria SS. Assunta until 1965, when he began to teach at the University of Perugia. In 1965, Fabro taught at Notre Dame University (Indiana, USA) as Visiting Professor. While continuing to live and teach in Rome, Fabro simultaneously taught at the University of Perugia. In 1965, he was named Ordinary Professor in Philosophy. He was the head of Faculty of Education from 1965 to 1967 and Ordinary Professor in Theoretical Philosophy from 1968 to 1981. 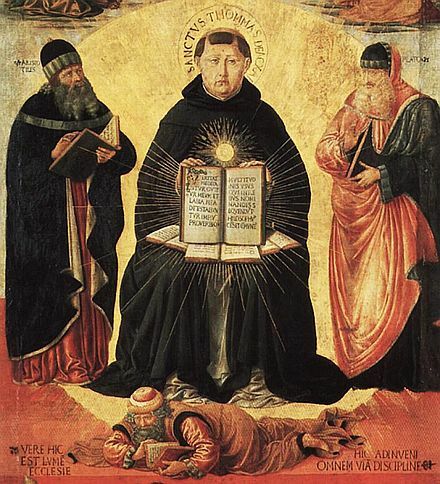 Thomistic Metaphysics Fabro's contributions to Twentieth-century Thomistic metaphysics are many. According to Fabro, being is first grasped by the intellect in an apprehension and not by means of an abstraction or a judgment. He distinguishes between being-in-act (esse in actu) and being as act (esse ut actus). The former is able to be said of accidents, the substance, principles of being, etc., while the latter is reserved for the actuating principle of being. With regard to the notion of participation, Fabro introduces a distinction between predicamental participation (characterized by univocal predication) and transcendental participation (characterized by analogical predication). Writings His works were written in Italian. Here is an English translation of titles of some of his Italian works. Thomism and Modern Thought, Pontifical Lateran University, Rome, 1969; Karl Rahner and the thomistic hermeneutic, Divus Thomas, Piacenza, 1972; The Adventure of Progressive Theology, Rusconi, Milan, 1974; The Anthropological Turn of Karl Rahner, Rusconi, Milan, 1974; Ludwig Feuerbach: The Essence of Christianity, Japadre, L'Aquila, 1977; Prayer in modern thought, Editioni di Storia e Letteratura, Rome, 1979; The trap of historical compromise: from Togliatti to Berlinguer, Logos, Rome, 1979; The unacceptability of historical compromise, Quadrivium, Genoa, 1980; The alienation of the West: observations on the thought of And Severino, Quadrivium, Genoa, 1981; Introduction to Saint Thomas, Ares, Milan, 1983; Reflections on freedom, Maggioli, Rimini, 1983; The Rosmini Enigma, Edizioni Scientifiche Italiane, Naples, 1988; Proofs of the Existence of God, La Scuola, Brescia, 1989; The Odyssey of Nihilism, Guida, Naples, 1990; For a Project of Christian Philosophy, D'Auria, Naples, 1990. Some of his books and articles have been published in English. God in Exile. Modern Atheism (translation of Introduzione all'Ateismo moderno), Newman Press, New York 1968; Studium, Roma 1969(2). Selected Articles of Metaphysics and Participation (a collection of nine articles originally published by Fabro in English), IVE Press, Chillum, MD 2016. God: An Introduction to Problems in Theology (translation of Dio. Introduzione al problema teologico), IVE Press, Chillum, MD 2017. ^ "Cornelio Fabro". Cultural Project Cornelio Fabro. Retrieved 25 January 2013. ^ a b "Life / Biographical Note". Retrieved 25 September 2017. ^ a b http://reazionaripostmoderni.blogspot.com/2009/09/padre-cornelio-fabro.html Accessed September 30, 2012 ^ Rosa., Goglia, (2010). Cornelio Fabro : profilo biografico cronologico tematico da inediti, note di archivio, testimonianze. Segni (RM) [i.e. Rome, Italy]: EDIVI. p. 44. ISBN 9788889231371. OCLC 641458068. ^ Metafisica della partecipazione, Elvio Fontana, EDIVI 2011, 29 ^ Rosa., Goglia, (2010). Cornelio Fabro : profilo biografico cronologico tematico da inediti, note di archivio, testimonianze. Segni (RM) [i.e. Rome, Italy]: EDIVI. p. 25. ISBN 9788889231371. OCLC 641458068. ^ a b c d http://www.corneliofabro.org/ Accessed September 25, 2017 ^ "Research Institute on Non-Belief and Culture (italian)". www.urbaniana.edu. Retrieved 2017-09-25. ^ Rosa., Goglia, (2010). Cornelio Fabro : profilo biografico cronologico tematico da inediti, note di archivio, testimonianze. Segni (RM) [i.e. Rome, Italy]: EDIVI. p. 78. ISBN 9788889231371. OCLC 641458068. ^ Rosa., Goglia, (2010). Cornelio Fabro : profilo biografico cronologico tematico da inediti, note di archivio, testimonianze. Segni (RM) [i.e. Rome, Italy]: EDIVI. p. 89. ISBN 9788889231371. OCLC 641458068. ^ Rosa., Goglia, (2010). Cornelio Fabro : profilo biografico cronologico tematico da inediti, note di archivio, testimonianze. Segni (RM) [i.e. Rome, Italy]: EDIVI. p. 94. ISBN 9788889231371. OCLC 641458068. ^ Rosa., Goglia, (2010). Cornelio Fabro : profilo biografico cronologico tematico da inediti, note di archivio, testimonianze. Segni (RM) [i.e. Rome, Italy]: EDIVI. p. 135. ISBN 9788889231371. OCLC 641458068. ^ "List of publications in English". Retrieved 21 September 2017.